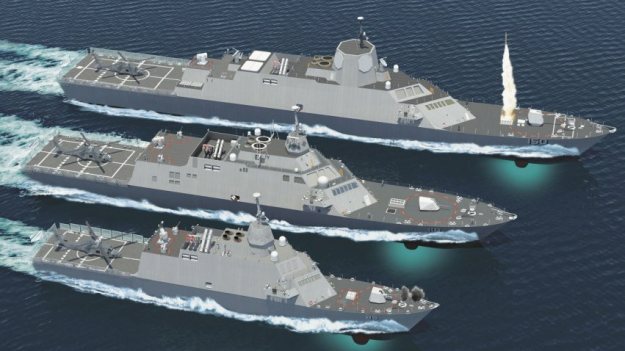 ↑A Lockheed Martin concept for variations of the Freedom-class LCS design from corvette to Frigate sized hulls. Lockheed Martin Photo. Image courtesy of USNI news. ↑An artist's concept of the Multi-Mission Combatant offering based on the Independence-class Littoral Combat Ship design. General Dynamics Photo. Image courtesy of USNI news. 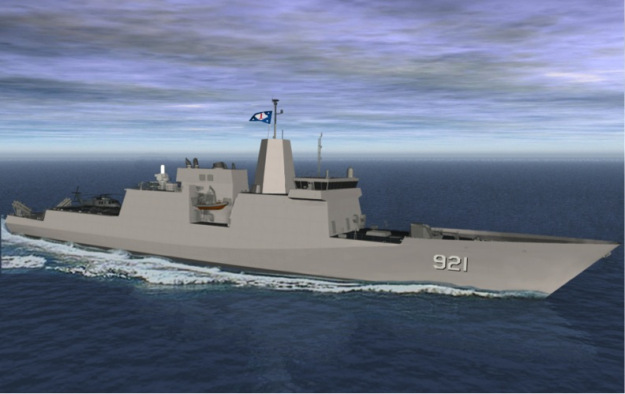 ↑An artist's conception of Huntington Ingalls Industries Patrol Frigate design. HII Photo. Image courtesy of USNI news.